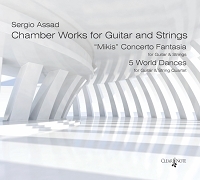 This recording is a robust reflection of the new state of affairs in the guitar world, navigating around, rather than through guitar's traditional programing. 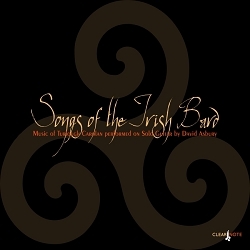 In this, his eighth recording, Stephen Robinson embraces music that springs from folk traditions and improvisatory practices from around the world. 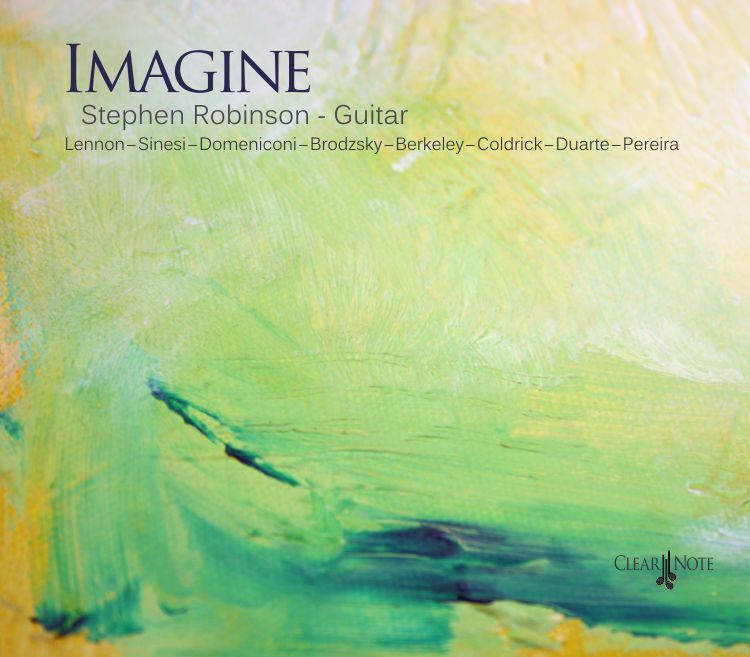 "Imagine," 2013 In his eighth studio album, Stephen Robinson presents a satisfying blend of both core classical guitar repertoire and less commonly recorded works. Recognized throughout the musical community as both a virtuoso as well as an erudite pedagogue, Robinson offers a rich blend of dazzling technique, refined tone, and learned interpretations. 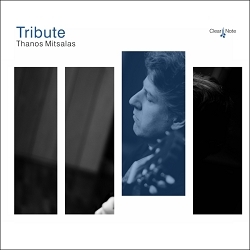 The disc opens with a touching arrangement of John Lennon's "Imagine", which properly sets the mood for the entire recording, as well as leaving no doubts to the forward-thinking approach of the repertoire selections. 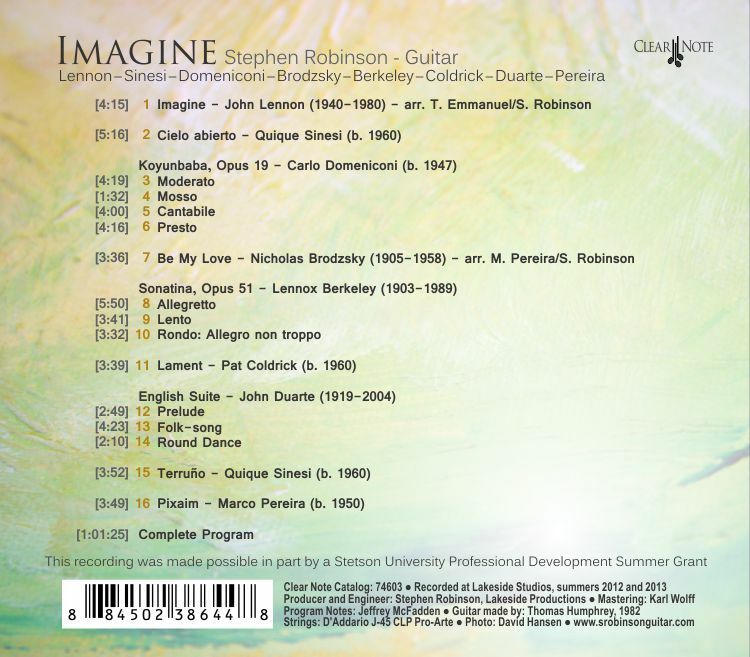 "Imagine" also alludes to the approachable nature of this album; all of the selections will touch any music lover, classical guitarist or not. And while the album emphasizes memorable melodies and beautiful harmonies, do not underestimate its musical depth, or the mastery with which it's delivered by Robinson. 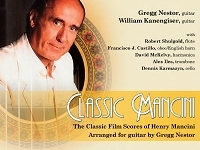 Among the more well-known classical composers on the album we find the likes of Carlo Domeniconi, Lennox Berkeley, and John Duarte. Robinson navigates each work with a sense of both technical ease and with pleasing, natural interpretations. 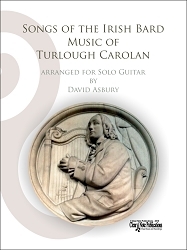 This disc is wonderful example of a mature, master of the instrument, looking to share the beauty of the classical guitar with as many people as possible.